I arrived at the MTC safe. Don't worry. James dropped me off after lunch I got dropped into Portuguese class with no English. Wasn't too bad though. My companion is from Lancaster, PA. 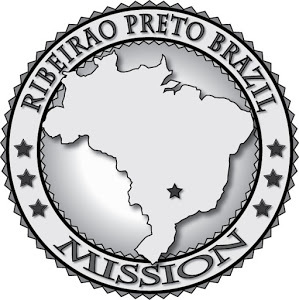 He's also going to Ribeirao Preto. I thought it was kind of funny. By the way, for anyone trying to pronounce anything in Portuguese, you're saying it wrong. I guarantee it. It's the opposite of phonetic. P-day is Tuesday. I find out if I leave next week tomorrow. The soonest I leave is Monday. Met my branch President today. He's an orthopedic surgeon, so we naturally had something to talk about. He told me he doesn't know why, but he's taken a liking to me. We'll see what that means. I'll have more to say on Tuesday.